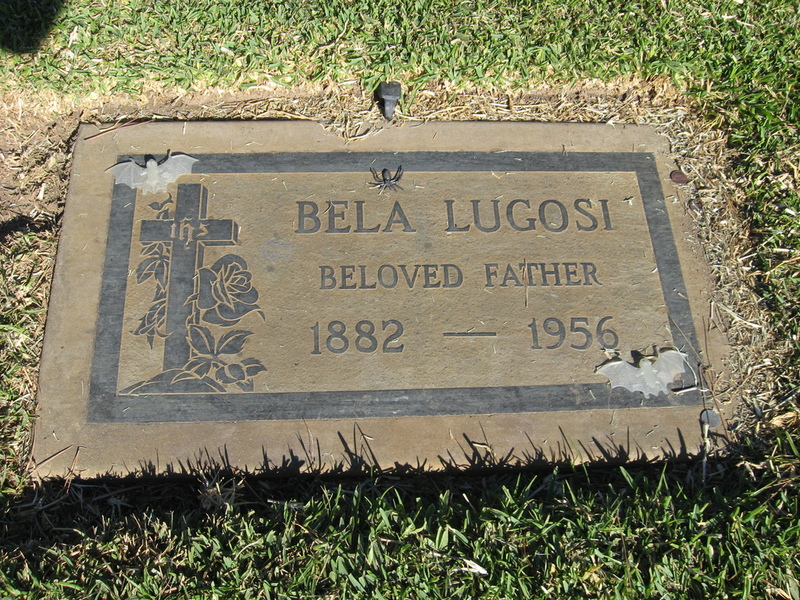 It’s the Sunday before Halloween, so that means it’s time for our annual ride out to Culver City to visit Bela Lugosi’s grave. We’ve been doing this ride since 2007. It was a perfect day for riding. A bit cool at the start, but it warmed up nicely. We rode down Huntington Drive into downtown Los Angeles. 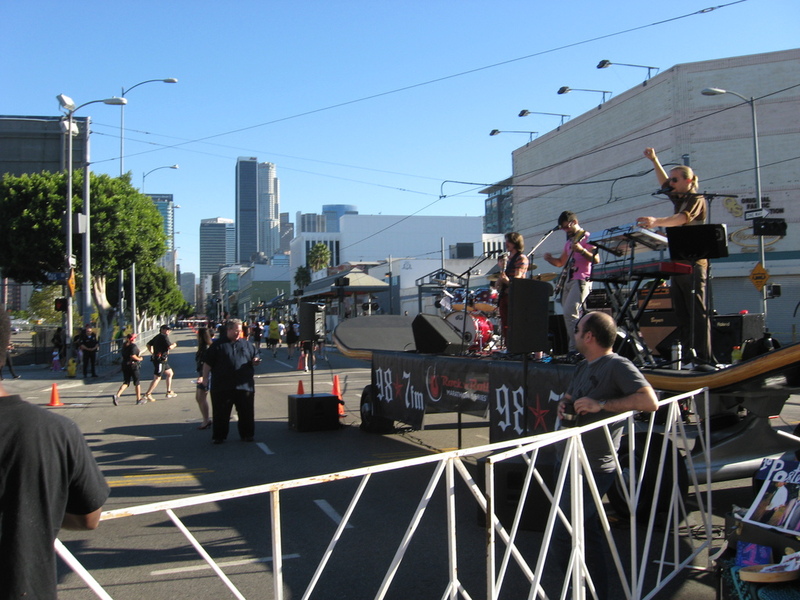 That morning, I’d seen that some of my stair climbing friends were running in the Rock-n-Roll Half Marathon in downtown. I thought that might be a problem for us, since part of our route was on streets that were closed for the course, and we’d have to cross the course twice. But we figured we’d just deal with it when we got there. And when we got to the first crossing, at 3rd and Spring St, we’d just pulled up and stopped when I saw my friend Veronica running by. There were something like 15,000 people running in this race. What are the odds? Anyway, we were able to walk our bikes across the course there and continue on. We took Main St all the way down to Pico before taking a right to get over to Flower St. That brought us down to West Adams Blvd, where we had to cross the race course again. But by this time, runners were pretty sparse there, so it wasn’t a problem. 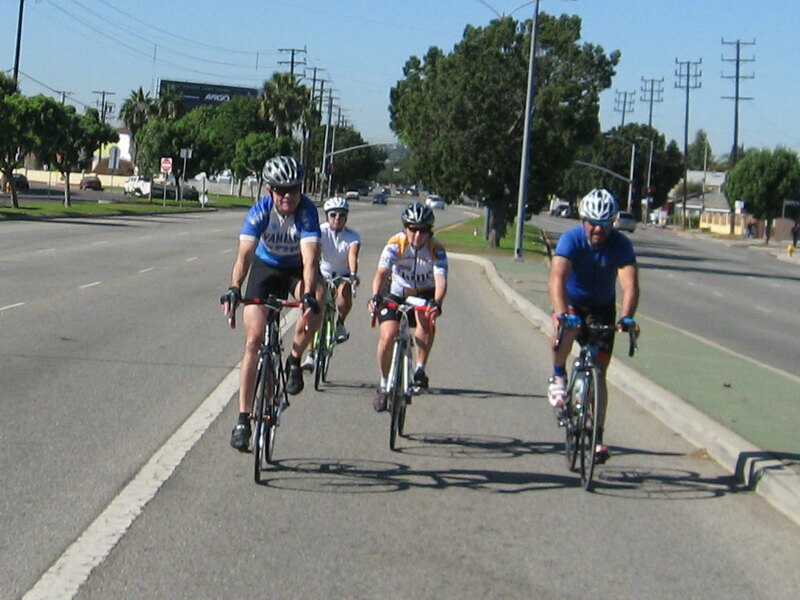 We rode out on Adams and later Rodeo Rd to get to Culver City. When we got to the cemetery, we rode up and over the hill to get to The Grotto, where Bela is buried. After that, I took a little side trip to see the Del Rubio Triplets. 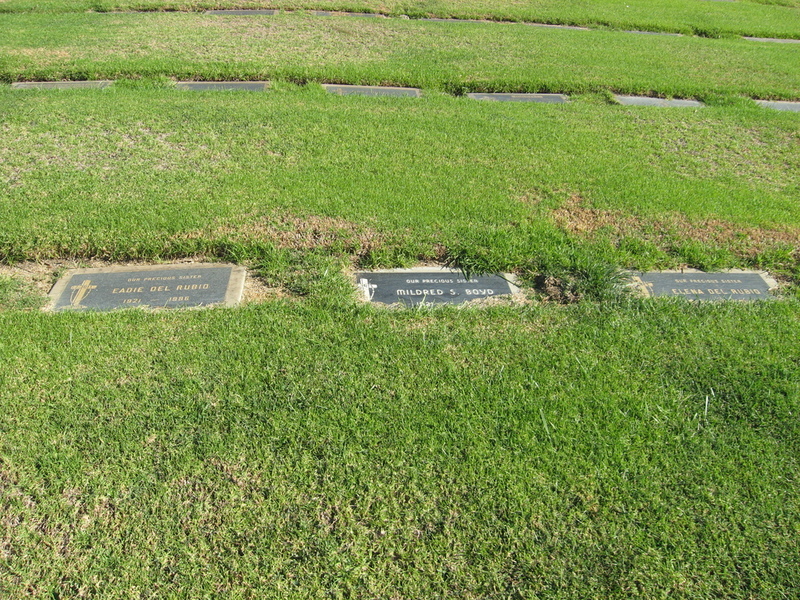 The last time we’d been there, Elena and Eadie were there, with a blank space between the, waiting for Millie. 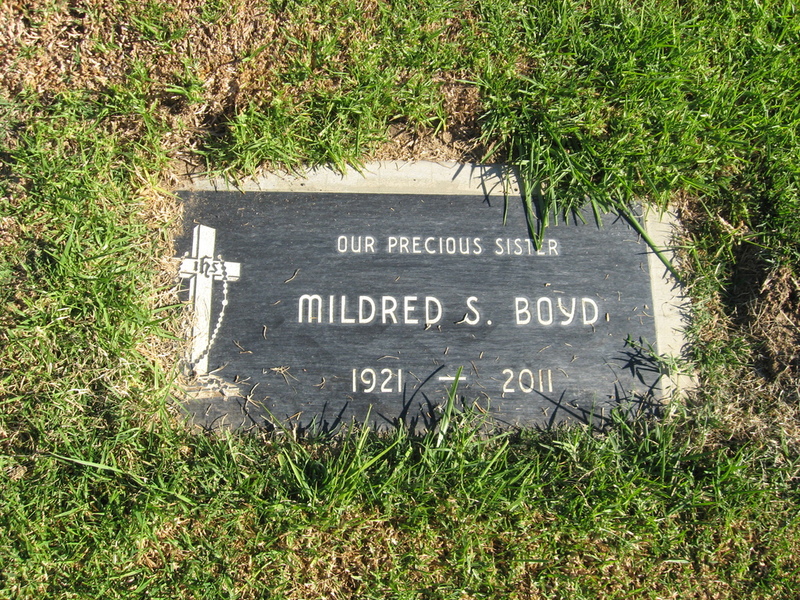 But Millie died last year, so now they’re together again. 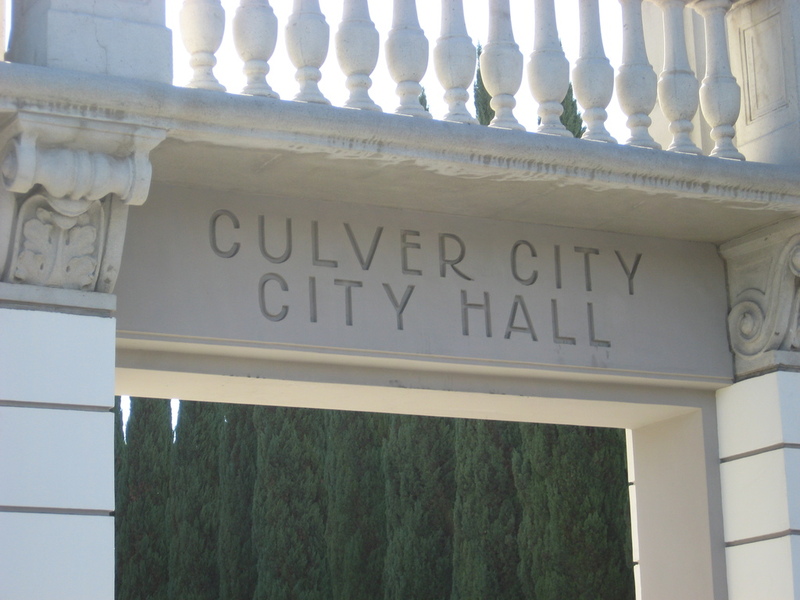 On the way back, we passed Culver City City Hall. That reminded me of the “Get Smart” episode where KAOS wanted to steal the plans for the Anti-Anti-Anti-Missile-Missile. We stopped at Noah’s Bagels on Venice Blvd. While we were there, I had a close look at my bike to see why my front derailleur was not working. 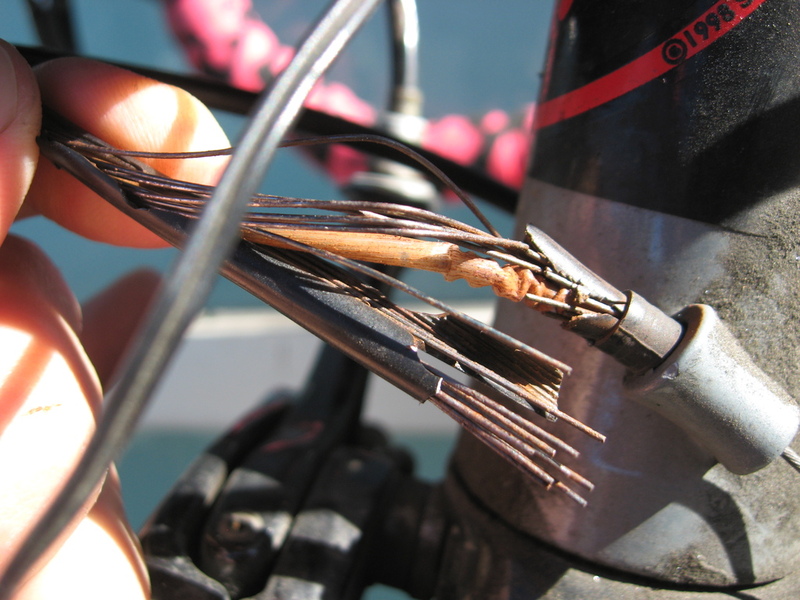 And it quickly became obvious that the cable housing had committed suicide in a very messy way. At least it all made sense. The ride back took us through Hancock Park, Koreatown, and Silver Lake. It’s like a trip around the world, by bike. 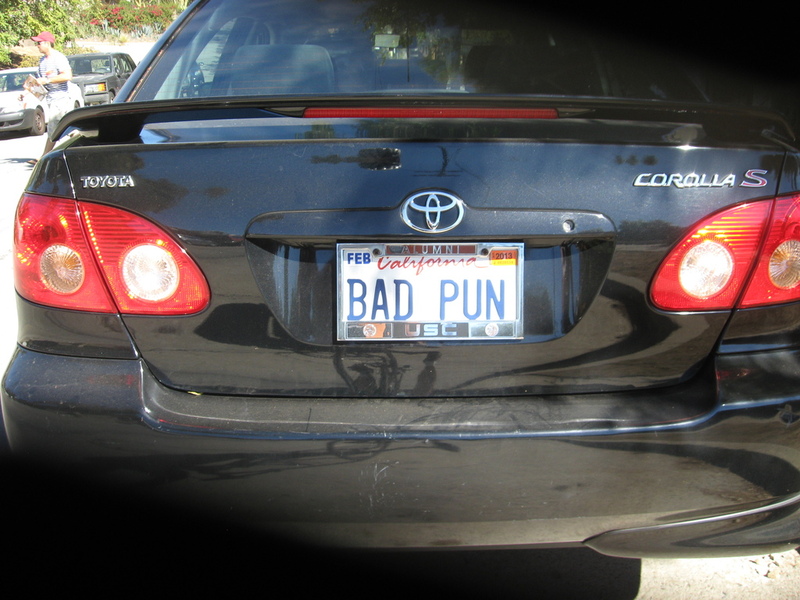 I have no idea what the vanity license plate “BAD PUN” means. But in any event, it was a fun ride.